Tonight, WB hits another snag: director Seth Grahame-Smith is departing from “The Flash” film over “creative differences” with WB. No further reasons were given, but it’s another snafu for Warner Bros. The screenwriter behind “Pride & Prejudice & Zombies” and “Abraham Lincoln: Vampire Hunter,” Grahame-Smith was always a weird fit for “The Flash” especially given he had never directed a feature-length film before, let alone a big super hero tentpole. His career thus far has been writing historical movies mixed with genre films: “Unholy Night” is another one that reimagines the three wise men in the Nativity story as infamous thieves, led by a dark, murderous leader. Secondly, Warner Bros. really just wanted Phil Lord and Chris Miller (“The Lego Movie”) to direct “The Flash” and give it a fun, humorous edge, but the filmmakers were only able to write the treatment, and they quickly left the project when they were given the keys to the “Young Han Solo” film. So Grahame-Smith was forced to write the film based on treatment from Lord and Miller and somehow, eventually fell out with WB. It’s gotta be tough to make a film based on a third party that’s no longer involved and a studio that’s probably using that treatment as its bible. 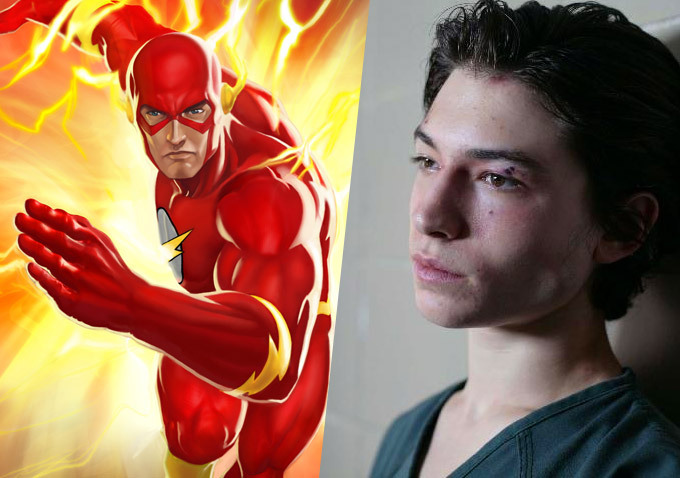 This Article is related to: News and tagged DC, DC Comics, Ezra Miller, News, Seth Grahame-Smith, The Flash, Warner Bros.